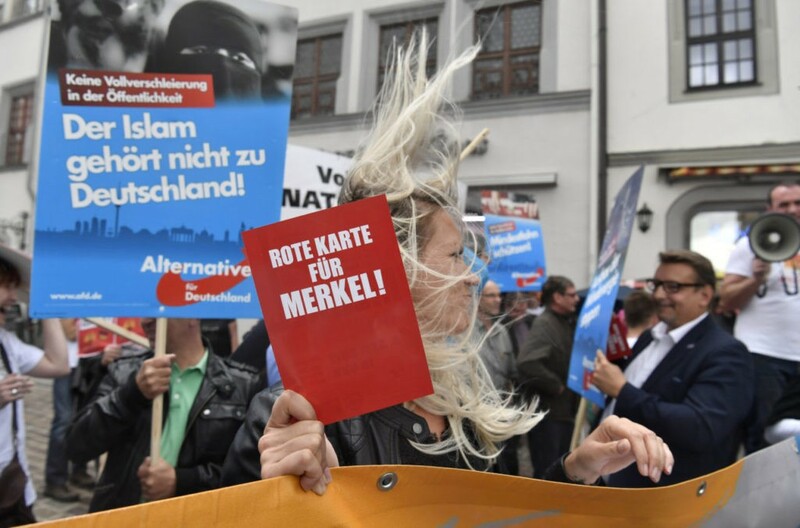 Supporters of the anti-mass migration Alternative for Germany (AfD) and of the far-right National Democrats (NPD) heckled Merkel calling her a “traitor to the people” as she gave a speech in Torgau, Die Welt reports. 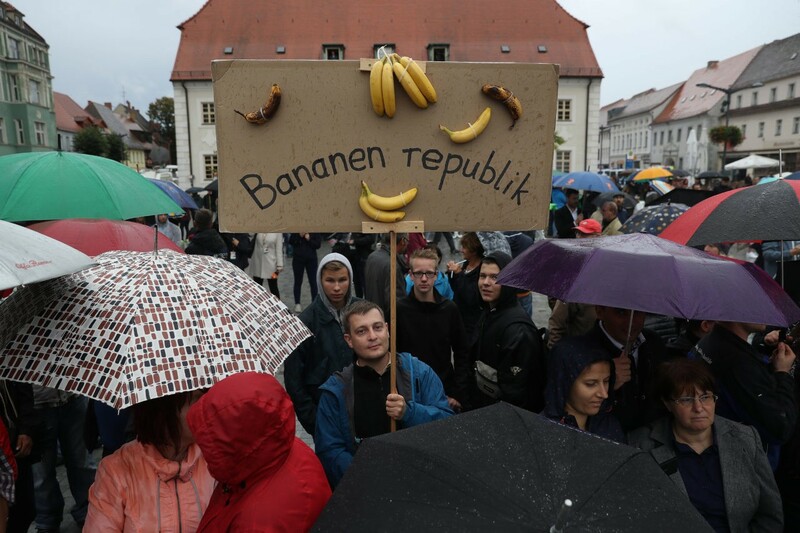 Later in the day, Merkel headed to the small town of Finsterwalde in Brandenburg where again protesters whistled as she gave her speech to the crowd. Police also say that two men, aged 36 and 39, gave the Hitler salute during the speech and will be prosecuted as the gesture is illegal in Germany. The incidents come just a day after Merkel gave a speech in Heidelberg and was hit by a tomato thrown by a member of the crowd. 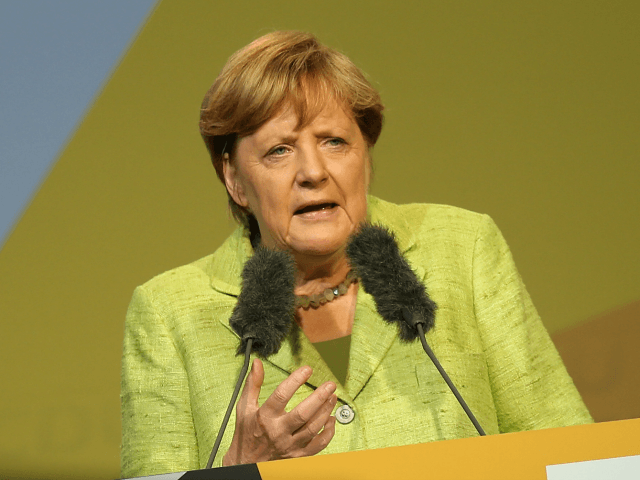 Despite the chilly reception, Merkel and the CDU are expected to win the national election on September 24th. On Sunday, Merkel debated her rival Social Democrat (SPD) leader Martin Schulz – although both candidates agreed on many issues. All polls are giving her a decisive victory, but the CDU, which is allied with the Bavarian Christian Social Union (CSU), does not have enough support to govern on their own fueling speculation as to with whom the party will enter a coalition. The SPD, under former European Parliament President Martin Schulz, are on course for their worst election result since 1945. The anti-mass migration AfD looks to enter the German parliament for the first time having become the third largest party following strong regional election results including beating the CDU in Merkel’s home region of Mecklenburg-Vorpommern.